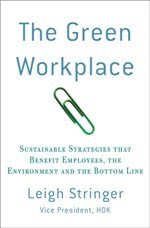 The Green Workplace: Bring the green fashion to the work place and Green-Up your Make-Up!!!! Bring the green fashion to the work place and Green-Up your Make-Up!!!! Bringing Sustainable Fashion to work? Wearing Make-up every day? Feeling good about yourself ? Bringing the Green Fashion to the Work place is not limited to green clothes, cosmetics has been around virtually as long as civilization—ancient Egyptian women and men wore cosmetics in their daily lives; red henna on their fingernails, green eye shadow, and brows and lashes blackened by coal or metallic oxides. Throughout history, beauty and makeup trends have come and gone. What options exist for the girl who wants it all without sacrificing quality? Following in the wake of sustainable fashion, the beauty industry is catching on. Today natural products are the fastest growing market in cosmetics, the revolutionary mineral make up is the trend and the professional make-up artist's turn to come to the green party. We know that consumer pressure can encourage companies to consider the impact of their products, but the makeup industry also works with professional makeup artists who can have influence on both the companies' products they use and the clients they work with. Greenmua has a great listing of companies, articles and links for pro makeup artists who are interested in making their industry more sustainable. 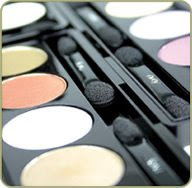 When you buy from a cosmetics company, be sure that they allow you to re-fill their compacts or containers. With a little research and a decent amount of label-reading, along with the helpful guides, it’s possible to find safe, non-toxic cosmetics without having to give up on makeup altogether. If you really want to be sure they are 'green' and are suited for your skin why not go on an organic cosmetic/beauty product making course in France where you can learn to make your own products that you can easily recreate back home. Check out... http://www.golearnto.com for their weekend courses which are guaranteed to save your skin, the environment and £££'s on products! Great post thanks for sharing. There are some things in there that I could take away for my blog, The Style PA.
Back to nature is the key. Use of natural resources appropriately, because although excessive use natural products but will still be bad. Save You and Your World!